The Baseball program at Keller Youth Association (KYA) has become widely recognized as one of the best and most complete all-around programs in the Dallas-Fort Worth area. To foster an atmosphere focused on sportsmanship, teamwork, trust and fundamentals. 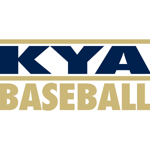 KYA Baseball offers multiple programs and levels of play including Recreational, Elite as well as Select. KYA Baseball has successfully been able to maintain a positive balance within our program for our Select and Elite teams, as well as our Recreational leagues. The chart below is a rough estimate on the league comparisons. * Cost can be offset by fundraising and sponsorships. The KYA Recreational Baseball Program is designed to attract as many players in the community, who have a sincere interest in the game, as possible. In our younger leagues we attempt to include every single player who registers to play. Our goal is to give the youngest players in our program an opportunity to gain a fondness for and an interest in the game. We also strive to give them every chance to learn the basic skills the game requires. Here is some great insight by one of our own KYA Elite coaches, Clint McGill, that deals with the challenge of "Good in practice but struggle in games? 4 free tips on how to crush it on game day". KYA Baseball’s recreational teams also field highly competitive All Star teams to compete in area city tournaments each summer. In past years, KYA Baseball has been able to advance teams through District play and has earned District, Sectional, Zone, State Championships and World Series Championships. What equipment does KYA provide? T-Ball – Tee, catcher’s helmet, batter's helmet and game balls. A new coach (coach who did not head coach the previous spring season) is allowed to freeze his son and his assistant coach’s son granted his assistant coach’s son did not play for a KYA spring Rec team. A player not returning to his/her previous year’s spring team must return to the draft pool. Wild card drafts are not permitted. The draft rule runs from spring season to spring season. Fall season is not considered. If a player does not complete the tryout in its entirety (100%) then that player will be put into the blind draft. No exceptions. 1. When are sign ups? 2. Where are sign ups? 4. When do practices start? Practice will begin soon after registration is complete. 5. How many practices and games are there per week? Wednesday and Sunday can potentially be used for rain out games. 6. Where are games and practices? Games are played at the Keller Sports Complex. Practice locations are held at one of the city parks or schools determined by the head coach. 7. Can my player be put on a team with his or her friends? There is no guarantee. Efforts are made to honor requests in BlastBall and T-Ball. In the older age leagues, players are placed on teams through a coach’s draft. NOTE: Only returning head coaches are allowed to freeze 5 players from their previous Spring team. 8. What equipment do players need? 9. What other costs are involved? The league provides a hat and jersey. Teams may decide to purchase matching pants, belts and socks. 10. Does everyone get a trophy? BlastBall and T-Ball every player receives a participation trophy. 7U-14U leagues trophies go to 1st and 2nd place teams. 11. What is NYSCA certification for coaches? It is a nationally recognized organization and ensures that coaches are trained. All coaches must be certified by taking an online class through NYSCA. Online registration will be open from Mid-July to Late-August. Teams are allowed 3 events (games and/or practices) per week. Friday evenings, Saturday (all day), Sunday afternoon and Monday Night may be used for rain out games. *Some weeknight games may be scheduled to ensure the season is completed on time. 7. Where are games and practices? 8. Can my player be put on a team with his or her friends? Yes they can in the Fall! We try and honor all team requests but cannot guarantee that every team will be able to accommodate all of the requests. Teams can be created by a coach as long as that team has no more than six (6) "Select, Elite or All Star" players on the team. Each team roster will be reviewed. Commissioners will also put players on teams as there are no player looks or drafts in the Fall. 9. What equipment do players need? 10. What other costs are involved? For the Fall, KYA provides facilities, umpires and game balls. Teams will be responsible for their own uniforms as the Fall registration fee does not cover any uniform expense. The only exception is BlastBall, whereas, KYA provides a hat, shirt and trophy. 11. Does everyone get a trophy? BlastBall is the only division to receive a trophy in the Fall. Trophies are reserved for our Spring T-Ball participants, Divisional Champions, Tournament Champions and Finalists. 12. What is NYSCA certification for coaches?